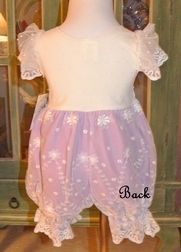 An adorable bubble for baby and toddler girls by Haute Baby. 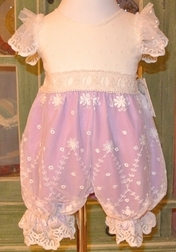 It is made with a soft off white bodice gathered to a lavender bottom with a lace overlay. Pretty lace also trims the hems of the legs and the sleeves. 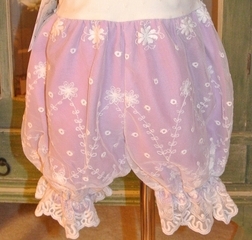 Comes with a pin on fancy flower that can be removed if you would like to monogram the bodice.